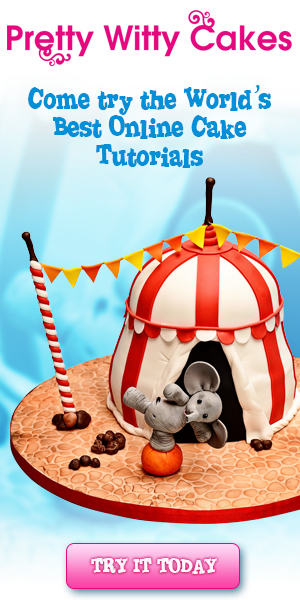 This post on cake dummies is a beginner article for those who are new to the world of cake decorating. 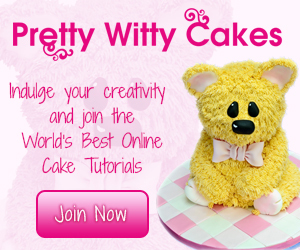 If you have heard the word ‘cake dummy’ but not sure what it is or how it is used in cake decorating, you will get your answers here. These are basically Styrofoam blocks that are cut into cake shapes (the most common ones are round and square, but other shapes are also available) in varying heights (again, the most common height that I have seen are 3 inches and 4 inches high). What are cake dummies used for? The main intention of cake dummies is to replace real cake. And there are a couple of reasons why anyone would want to use a dummy cake instead of real cakes. Some customers want big cakes but do not have a big guest list - this is often the case for weddings. Some brides want large tiered cakes but do not necessarily have the crowd to feed all the cake. In such cases, using a cake dummy is the best option. The bride get what she wants and there is no cake wastage. Cake entries for competitions – Cakes for competition can be elaborate and may require days of decorating work. Having a real cake in this instance will lead to a spoilt cake by the end of the competition. Besides, there is a possibility for wastage when using real cake and the cake might not get eaten by all after the competition. Sometimes, contestants would like to keep their work of art as a collection and using a dummy instead of real cake makes it a better option. 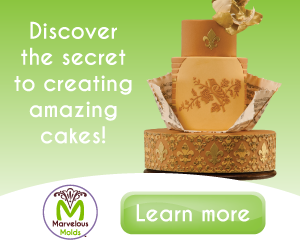 Cakes decorated for display – This is particularly true for bakeries and businesses who want to display cakes in their shops. These cakes are meant to be there for a long time for people to see and admire. So, it goes without saying that having a dummy cake is a better option for these cakes, both in terms of cost and its expiry. Limited budget – using cake dummies to reduce overall cost of the cake is another reason why people use dummies instead of real cakes. The cost of the cake can be reduced and replaced with the cost of the dummy (though the decorating charges remain the same since it requires the same amount of frosting and decorating time). This is particularly true for people who want large cakes but not so much cake and have a limited budget. Cake dummies are generally inexpensive. You can purchase them from your local cake decorating supply shops. You can even online however, given that these are bulky, you may incur additional shipping charges. How to cover in icing? To cover the dummies with buttercream or other frostings of similar consistency (like royal icing and ganache), the process is pretty straightforward. Just cover it in the exact same way as you would a normal cake. The plus point here is that you need not crumb coat it to lock any cake crumbs or level the sides, therefore can apply the final coat of buttercream directly on it. As for fondant, there is a bit of prep work to do before you can cover the dummies. This is because, most of the time, there are tiny holes or lines or dents on the Styrofoam which if not smoothed, can show on the fondant once its covered over the dummies. Hence you need to prepare the dummies or rather patch up the imperfections with royal icing before covering it with fondant. This is more so when making double barrel cakes with Styrofoam dummies. Let me show you how I normally prepare my cake dummies before covering them with fondant. 2 blocks of Styrofoam dummies attached together with hot glue. The lines and dents on the Styrofoam and the space in between these blocks, if not covered, will show on the fondant that covers these. I start by piping some royal icing where the lines or dents are. And then I smooth the icing with my spatula. The lines and spaces do not quite get covered with the first coat of icing. I let the foams rest for a while after the first coat (about 30 minutes) until the icing sets. This is to show the difference between a patched and non-patched surface on a Styrofoam dummy. Also, the patched surface is only with the first coat of icing hence, it is not totally smooth as yet. For the second coat of patch, I use an icing scraper . I apply more icing to the sections on the Styrofoam that need to be covered and smooth the icing. With this second coat, the lines are normally no longer visible, leaving a seamless block of Styrofoam ready to be covered in fondant. In doing this, where there are rough icing patches on the block that has dried, I smooth them with a spatula dipped in water. You need not cover the entire dummy with royal icing, cover only where the dents or lines are. I prefer to use royal icing instead of buttercream or ganache as royal icing dries hard and firm. This makes it easier to handle compared to buttercream or ganache that can melt in warmer temperatures. In covering the dummies with fondant, to make sure the fondant sticks to the dummy, I would normally just brush the Styrofoam block with water. I do this with a large brush or sometimes hold the block under a running tap to wet it all around and shake off excess water lightly before putting it on a cake board for fondant covering. This however, can only be used if when there is no patch work on the dummy. In such cases, I use a wide brush to wet the dummy. After that, I just roll my fondant and cover the dummy as I would a normal cake. How to Smooth or Round Styrofoam Dummy Edges? Some cake decorators like to smooth the edges of the dummies before covering with fondant. This will give the fake cakes a slightly rounded edge. To smooth the sides, you can use a fine sand paper or simply use your rolling pin and rub it on the edges to make it rounded. I for one, do not like to smooth the edges of my cake dummies as I prefer my cake to have very sharp edges after covering with fondant. How to Stack Dummies to Create Double Barrel Dummy Cakes? 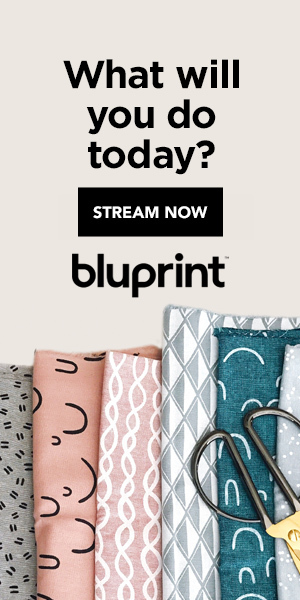 This depends on how you intend to use the dummy. For example, if you want to use dummies to create a 6-inch-tall cake, you would need to stick 2 dummies measuring 3 inches high so that they form a 6 inches tall cake when combined. To stick the dummies, I normally use hot glue, but you can also try with royal icing or other glues. Good news when using dummies for tiered cakes is that dummies do not require doweling since they are hard. If you are stacking a dummy on a real cake, the real cake would require doweling, but if you are placing a real cake on a dummy, then doweling is not required for the dummy. Storing cake dummies is easy, you can keep them anywhere so long as it’s clean especially if they are to be used with real cake. Storing decorated dummy cakes however, can be a little tricky, depending on your environment. I normally have to keep mine covered in large plastic bags (clean garbage bags) or else I get tiny holes on the fondant on the cakes when I wake up the next morning (eaten by house lizards!). Can Cake Dummies be Reused? Cake dummies can be reused, meaning you can use them for multiple projects. I have done this for my dummies, especially those that I make for family since its easier to retrieve the dummies from them. To reuse, simply scrap off all the icing and wash the dummy thoroughly. Dab them and let them dry in open air until they are completely dry before storing for future reuse. And that is all I can think about Styrofoam dummies. If you have any other ideas or suggestions, please feel free to leave them in the comments section below.